In the Season 9 finale of Doctor Who, “Hell Bent” the Doctor (Peter Capaldi) plays a song of remembrance. 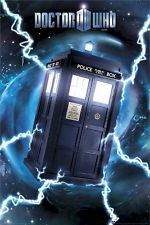 When Clara (Jenna Coleman) and Ashildr (Maisie Williams) fly off in their TARDIS, we are reminded of the Doctor’s declaration in “The Girl Who Died“: “I’m the Doctor, and I save people.” They are both casualties and beneficiaries of the Doctor’s conscience. Without their consent, the Doctor has given Clara and Ashildr an extension on life through technological trickery. Despite the excitement and feeling of possibility at seeing two TARDISes fly off, it doesn’t feel quite right that Clara should live only to travel with Ashildr rather than the Doctor. Clara gets a much better sendoff in “Hell Bent” than she did in “Face the Raven,” and not just because she survives until her next heartbeat. Coleman gave us a strong performance, playing the voice of reason to the Doctor’s mad effort to save her at all costs. It seems a more fitting end for a companion who fragmented herself into the Doctor’s timeline to save him, kept him from destroying all of Gallifrey, and pushed him to remember that he is more good than bad. It might be because we’re partial to the Fourth Doctor, who spent more time among the Time Lords than other regenerations and who served as President of Gallifrey for a brief time, but we were pretty excited about a return to the Doctor’s home world—though the concept of home is relative, because as we saw in “Heaven Sent,” when the Doctor thinks of “home,” he actually thinks of the TARDIS. Normally when the Doctor arrives somewhere new only the audience knows that he’s a hero, while those he comes to help see him as a curious visitor who seems quick to figure things out. On Gallifrey his exploits are known by the masses, particularly that he’s responsible for ending the Time War. On Gallifrey the Doctor’s sunglasses and guitar would be fitting because he really is a rock star among Time Lords. Gallifrey’s most rebellious son and savior. The last appearance by Lord President Rassilon was in the Season 4 finale “The End of Time,” when the Time Lords used a psychic link with The Master to attempt to break out of their time-lock. Though we loved the brief appearance of Timothy Dalton (James Bond) as Rassilon, Donald Sumpter (Game of Thrones) plays the role of established tyrant well in “Hell Bent.” With the Doctor banishing Rassilon from Gallifrey, we anticipate continued conflict between these powerful Time Lords next season. “Hell Bent” gives us a Doctor who is not focused on revenge, but fixated on saving Clara. He succeeds, albeit temporarily, as Clara will eventually have to face her predetermined death, but the Doctor loses his own connections to Clara as a consequence. Clara doesn’t forget the Doctor, but the Doctor only remembers Clara as a story. “Hell Bent” creates fitting closure for a Doctor Who companion who came to emulate the Doctor in so many ways. “Hell Bent,” written by Steven Moffat and directed by Rachel Talalay, brings Season 9 of Doctor Who to a close. And what a season it’s been—arguably the best in the new series.